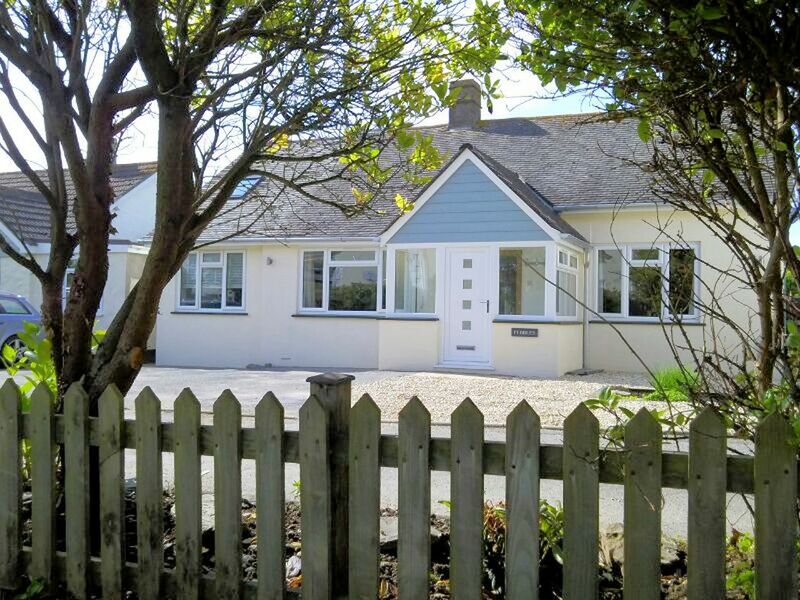 Fantastic 4/5 bedroom holiday home with lovely views across Croyde's countryside. Lawned garden with large terrace for entertaining, outside shower & hot tub! Short walk to the beach & village amenities. 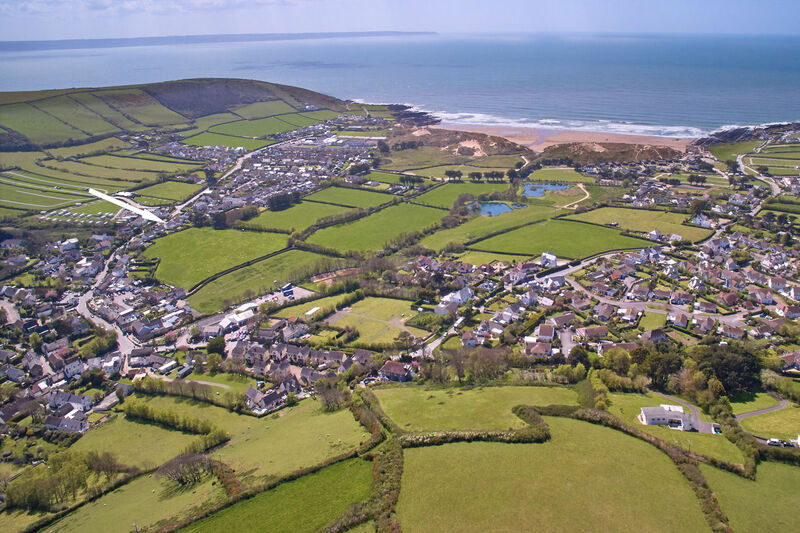 Pebbles Rest is located close to the heart of Croyde village and yet just a short walk to the famous surfing beach and enjoying lovely rural views across the fields. This fabulous, contemporary property provides open plan, comfortable living. The large kitchen/dining/living room with glazed atrium opens out onto the outside terrace with table and chairs & coal BBQ is provided. 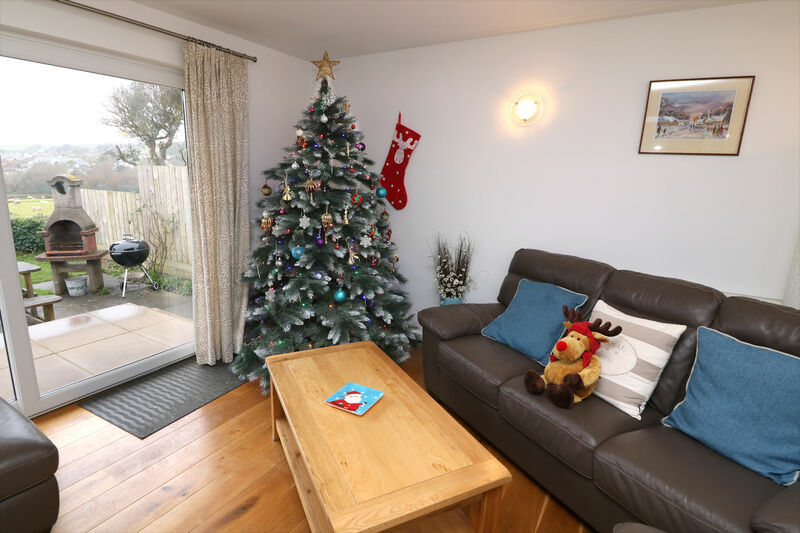 Enclosed lawned garden - ideal for children and dogs and with a hot tub (included in rental price) & outdoor shower - perfect after a hard day at the beach! The kitchen is well equipped with electric oven, hob and dishwasher together with all the essentials for your cooking needs. A seperate utility room houses a washing machine and tumble dryer. Dining area with large table and chairs for up to 10/11 and doors lead out to the terrace and garden. Large sitting room area with log burner for the cooler winter months, wall mounted flat screen tv with freeview, Sky and comfortable seating for 10 and doors leading out to terrace and garden. 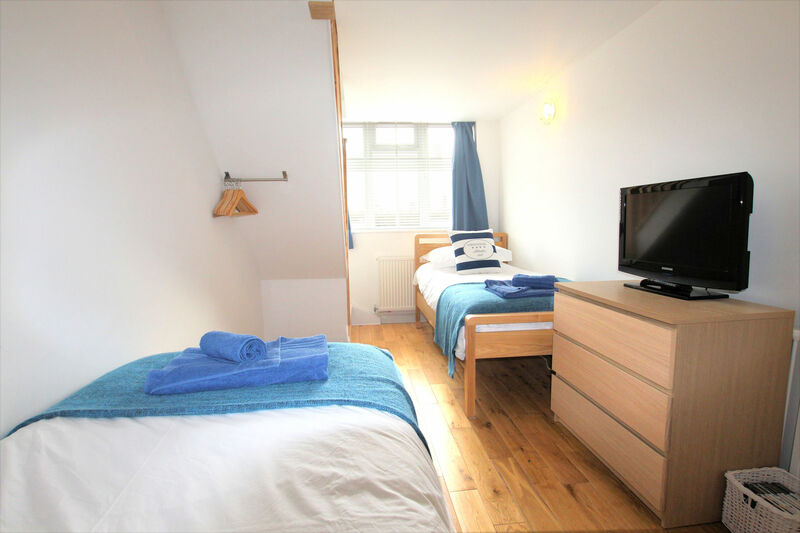 Pebbles Rest provides accommodation for up to 11 guests with bedrooms comprising double bedroom with additional single bed, king bedroom with ensuite wc, further king bedroom, ground floor bedroom with twin beds and tv with playstation - perfect for teenagers! Open stairs leading up from this bedroom to a further double bedroom. Contemporary family bathroom with bath with shower over and additional large shower room with drench head shower to the ground floor. A lovely family house - great for a get together! 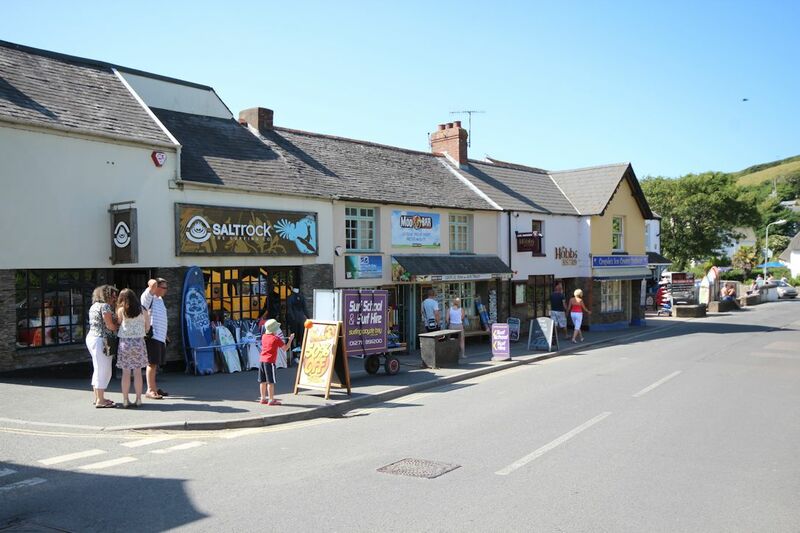 Ideal location for surfing and enjoying the local pub. Thank you for a memorable stay! We had a fantastic time at Pebbles Rest! The hot tub was brilliant! Thank you for letting us live here. I liked the monopoly game. All the games were fantastic. We have comfy beds and a lovely view. Thankyou for the nice cake and biscuits.